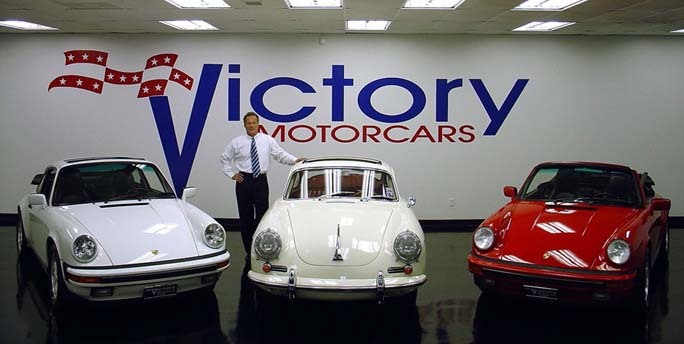 I am Robert Lee Neal, founder of Victorymotorcars. I have been selling new and pre-owned Porsches for 40 years in Houston, Texas. In 1978 I started selling Porsches for a dealership called Southpoint Porsche/Audi. During the next 13 years, I achieved a national sales ranking of #1 in the USA for 10 consecutive years and I ultimately purchased a portion of the dealership. In the years to follow, I bought and sold 2 different high line dealerships in the Houston area. I want to thank all of our followers and clients that have made my automobile career a very successful and happy one. At Victorymotorcars, we have combined all of this experience into one to deliver the best possible product, services and internet friendly company available today. We specialize in Porsche models from 1955 to 1998 air-cooled 911s. Please browse through our listings and feel free to call me for advice or any other needs you may have. We at Victorymotorcars will work hard for your trust and your business.